Do you have family that refuses to eat out unless it’s a ‘pure veg’ kitchen? Check out Thyme and Whisk in Jayanagar for their truly multicuisine (so there’s something for everyone, hey!) spread, and it’s fully vegetarian. 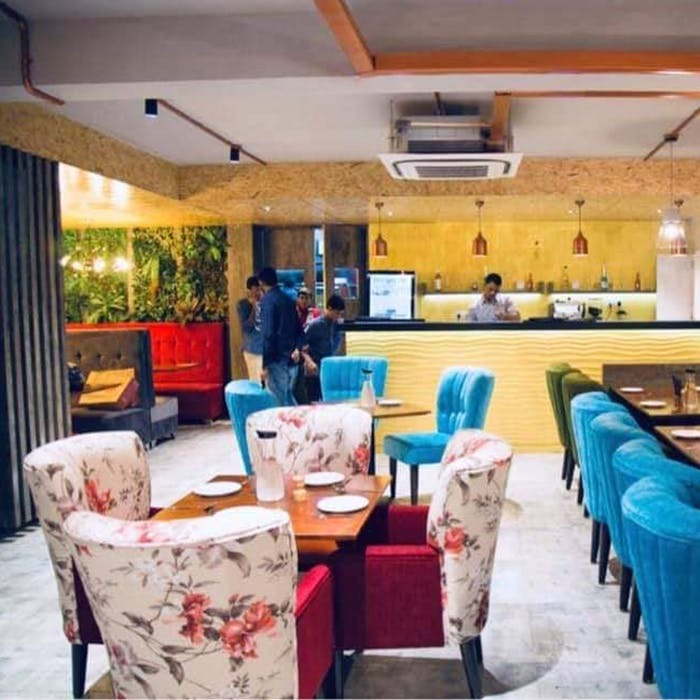 Designed to look like a cute, bright bistro, the restaurant offers Pan Asian, Indo-Chinese (which we can admit is the superior Asian cuisine), Italian, Mexican, Tandoor, and diner fare too! Yes, we were a bit sceptical with the sheer breadth of their range too, but it did not disappoint, as their fusion approach to the menu works well. If you love modern Indian style food, try their Chettinad Pizza, or their Baji & Kabab with cheese naan. Traditionalists should try one of their soups, or something from their Pasta menu. Wash it all down with one of their mocktails (Lady in Red for the berry loves or the Chilli Guava if you love experimenting), or shakes, and we even spotted some non-alcoholic beer! We’ve not tried everything on their exhaustive menu, so watch this space for more.